Happy St. Patrick’s Day! Kiss me, I’m Irish! Or at least I think a little bit of me is? But who knows for sure? So obviously we are celebrating in our house. Mostly because redheads look good in green. But any excuse works, right? And now, a St. Patrick’s Day list…..
1. A certain little leprechaun woke us up at 2am and was ready to party. Too much talk about rainbows and pots of gold I guess. Long story short, a toddler who sleeps in our bed horizontally = mommy goes to sleep on the couch. 2. 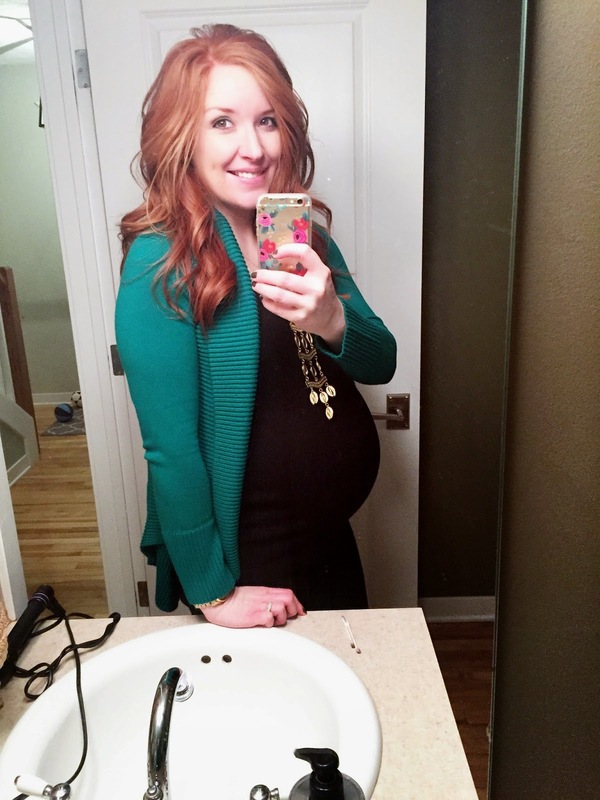 28 Weeks tomorrow….holy cow! 3. I have another ultrasound scheduled tomorrow, which means I have to stay strong AGAIN and not find out the gender. Send up a quick prayer! 4. I don’t know how I waited until March 16th to have a shamrock shake. Thankfully my husband understands my sudden cravings and jumped in the car to go pick one up for me last night. He knows the way to this pregnant girl’s heart. 5. I promise that one day my blog posts won’t be filled with iphone photos. I need to step up my game. « Every Pregnant Girl’s Dream Come True…. iPhone photos are fine, lady. Don't stress. 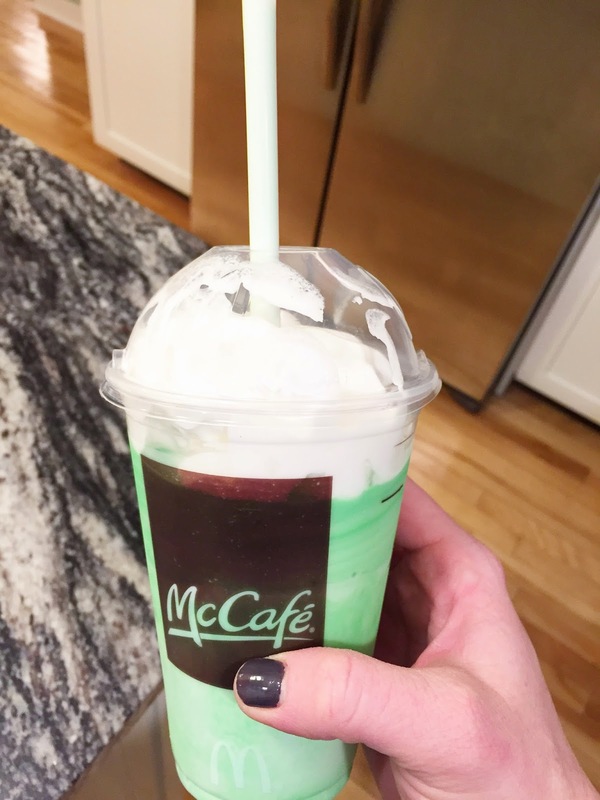 That mcafe drink looks delicious and such a fun treat for St. Paddy's day! Yep, redheads and green 🙂 Good combo! 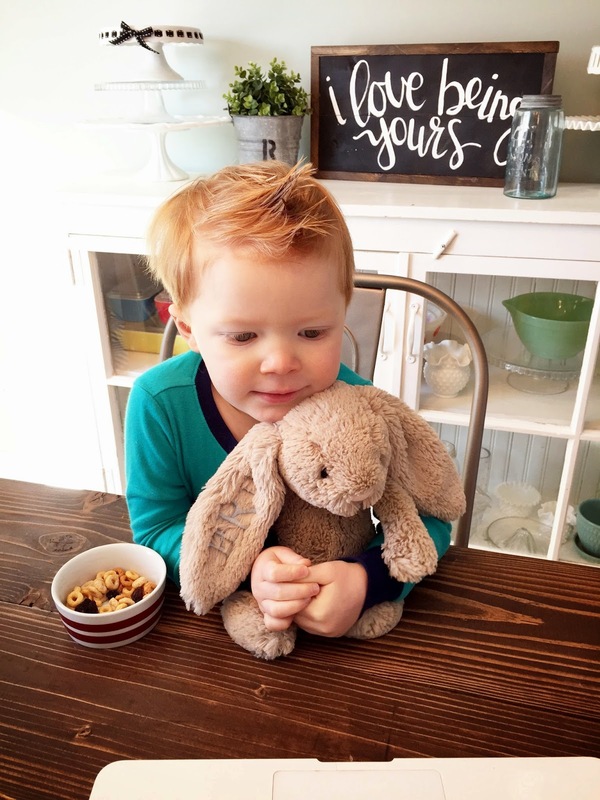 Love that picture of Hudson; he's so cute with his bunny. I have never had a shamrock shake but I've seen quite a few pics on IG lately and may need to try one! My post today, all iPhone pics! Sometimes (also see a lot of times) it's too much work downloading & uploading pics from the good camera! Haha! That's a good husband you have!! And look how cute Hudson is in green! He's a doll. ill celebrate 28 weeks with you a shamrock shake!! Hope your ultrasound goes well! That shamrock shake looks delish! Where is that adorable personalized bunny from?! No judgment here. Most of my blog photos are iPhone pics and I have no shame. #reallife ain't nobody got time for this. Yay for the hubby getting you the shamrock shake! We only got one this year just last week. So unusual for me but one was actually just enough! I can't believe all the ppl commenting who haven't had one! And 2am?! Yup totally would be on the couch too mama needs her sleep! You look great in green!